After you've tackled building envelope improvements to reduce heating and cooling loads, you're on to analyzing energy usage. Your utility bill shows how much electricity you have used daily and how much you’re being charged. Some smart meters can even provide hourly data. Unfortunately, that’s about it and instead you simply have to guess which devices are running and for how much time. 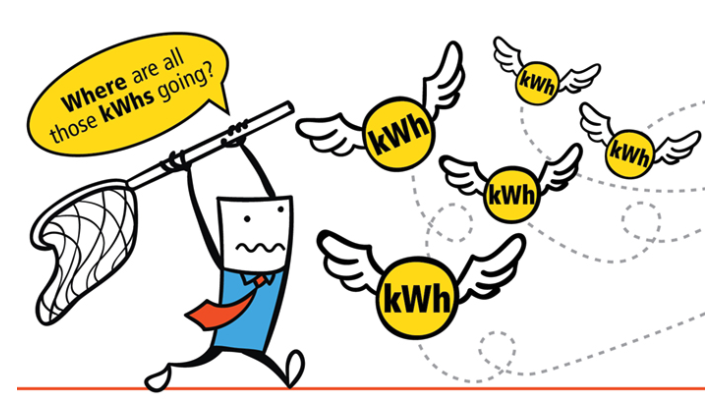 Energy monitors exist to eliminate this guessing game. They connect to your circuit breaker and learn your consumption pattern. They track your energy consumption with much finer detail. There may not be much you can do about the draw from each item you've got plugged in at home. But one way you can potentially save is by understanding how much electricity each appliance is using and eliminating "vampire loads" that are being sucked away by devices in a standby mode. Electricity monitors can also alert you to equipment setting issues or failures before you get the shock of a massive utility bill. Is it really worth investing? I had the same questions before investing in a monitoring system. As humans, we all make mistakes and we all forget things. I always forget to turn off closet or hallway lights. Monitoring the energy consumption in your home on an appliance-by-appliance basis can reveal big surprises. My big surprise was that the biggest daily waster of energy in my home wasn’t the heat, air conditioning, laundry, or refrigerator like you might think. It was the frequently used 20-year old microwave that used more energy than any other appliance in the home. Some savings come from detecting suspicious deviations from standard operating procedure. Monitors can alert you if they sense something awry. For instance, I got a warning that my refrigerator was consuming a lot more than usual. Turns out, the door was left ajar. The potential of monitoring devices is to make you aware of the hundreds of devices around you and do the remembering work for you. These small savings add up and the energy monitor will pay for itself in few months. In 2008, the U.S. Department of Energy released a study that tracking energy consumption dropped the average household's energy use by 10% and during the peak period by 15%. As they say, you can’t change what you can’t see. In this case, you will probably be more conscientious about turning off lights if you see the wattage increase every time you flip a switch. Learn how much power your devices and whole house regularly draw, and use that information to cut your power bills.